U1 A/B NE5532 as a pre-amp which amplifying a voltage of about 3X. Then the output is mixed so it becomes a mono signal. Then the signal goes into U2A NE5532 which functions as a subsonic filter, ie signal with the frequency below 20 Hz is eliminated. Signals with frequencies below 20 Hz can not be heard and often cause damage the subwoofer speaker. 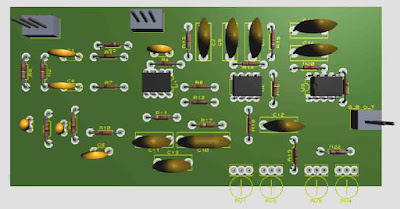 Then signals with frequencies above 300 Hz are discarded by U2B, whose output is fed to a low pass filter whose crossover frequency can be adjusted from 35 Hz to 150 Hz with U3A NE5532. With the U2B, the slope filter becomes sharper. U2B and U3A functioned as a second order Butterworth filter. 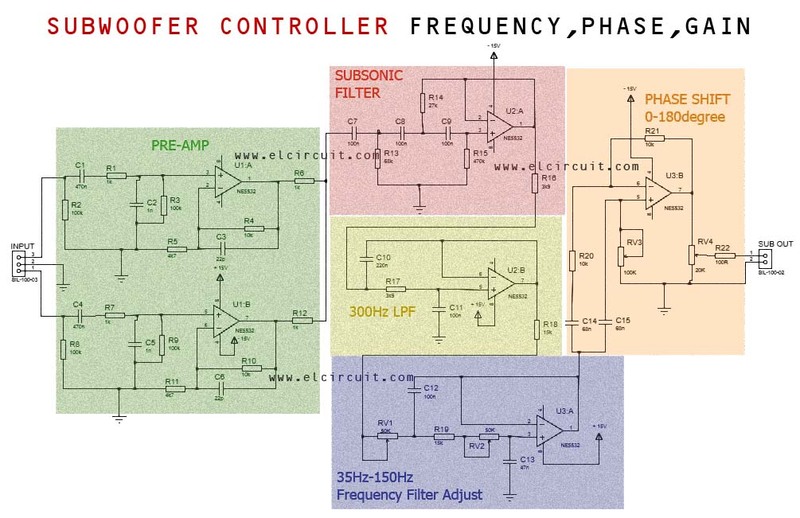 The output of the above filter is inputted to a phase regulator whose phase can be adjusted from 0 to 180 degrees. The goal is for subwoofer sound phase like the sound of satellite speakers. Due to the placement of the subwoofer which is often not parallel to the satellite speakers so that the required phase correction. If you have any question please make a comment on comment box below. yes its really working same as crossover filter. Can I use a one dual gang pot instead of having 2 seperate pots to adjust the frequency? Yes, you can use stereo potentio meter. Actually, to set the frequency need stereo pot, because im using proteus, there is no stereo pot. Can I get a complete list of parts? 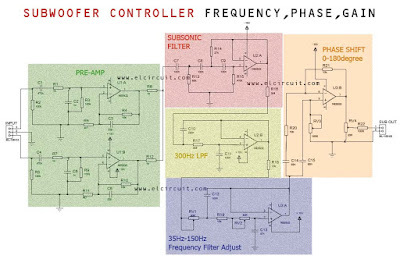 you can see complete part list from schematic diagram image. The values are barely visible. 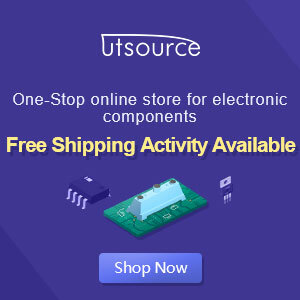 Can I use a 10n capacitor in place of c2? If its not clear please click image to view larger. as advised,I have refresh the page but i think ckt is removed , because a blank page appears. Sir I need pcb file of this circuit in Proteus. Please give me. 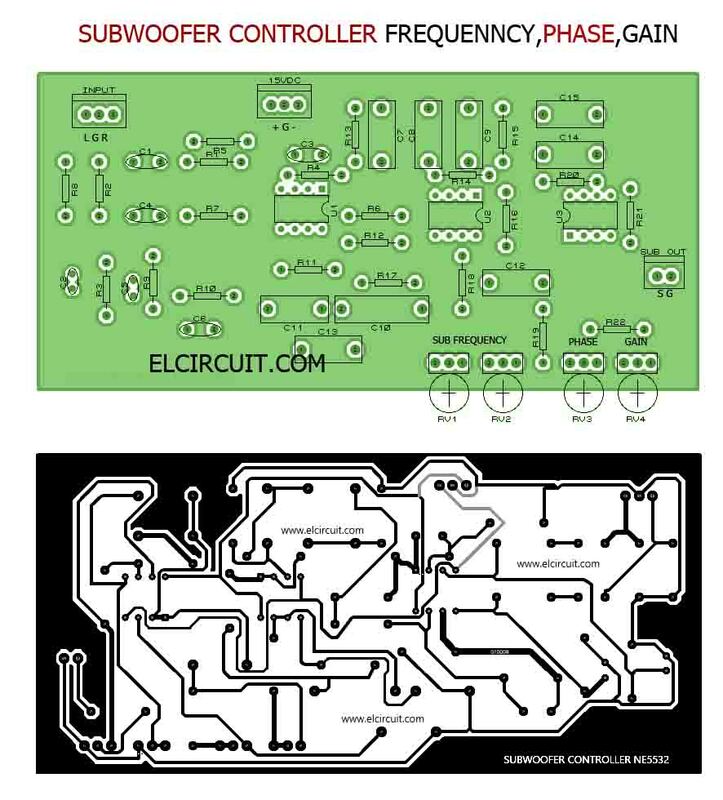 Hi, this circuit looks like exactly what I need! 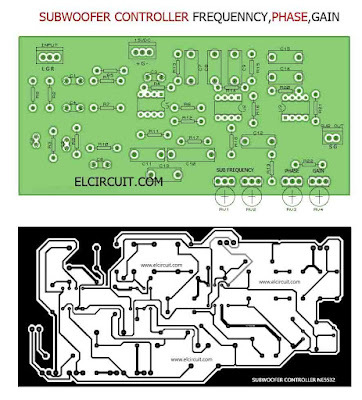 But I can't make a PCB - do you supply kits or PCBs, please? 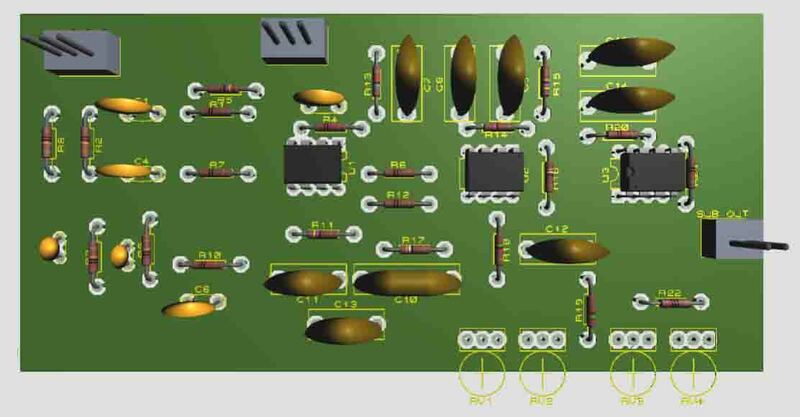 If not, is it possible to have a file in a format I can send to a PCB manufacturer? Many thanks for great ideas!